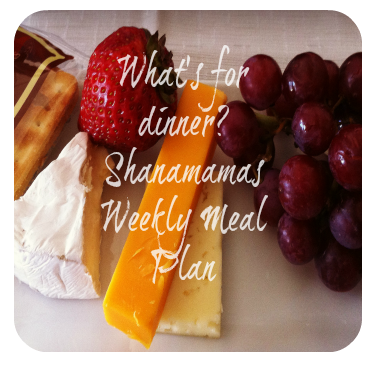 I have been so very, very bad at keeping up with my weekly meal planning but today I somehow managed to get a few minutes to sit down and plan out this weeks meal plan. Here is what I have so far. I got the original recipe from my Mom years ago but have added my own little touch to it recently. I didn’t make it for so long because my husband is not a sour cream fan (for shame I know) but it’s a simple dish that I know the kids eat, especially if I put in extra mushrooms so it’s back on the make list. I have not made this recipe yet so this will be a first attempt for me. It calls for walnuts but since we’re a nut allergy family those were instantly crossed off the ingredients list. The recipe itself looks pretty easy with few ingredients but knowing me I will add in some additional ingredients like fresh lemon juice and some pepper. You can never go wrong in adding lemon juice to your veggies and pasta in a light dish such as this one. Broccoli, cheese….need I say more? I will admit we eat a lot of spaghetti throughout the year but it is a dish I never get tired of because each time it’s a little different. I may leave a few ingredients out or add a few in insuring it’s never the same. It’s kind of fun and keeps things interesting each time we have it. I did forget to buy ground chicken so I will probably cook some chicken in the pot crock this time around. I cannot even begin to tell you how much I have missed having fish in my diet! The selection out here is…well it’s just sad. Talapia and Salmon is about all that’s carried out here. Once in a while you can find Halibut but man is it expensive. My husband brought home some Mahi Mahi the other week and it’s already gone, I was so excited I made it twice in once week. This is my last package of fish until he brings more home and his favorite way to have fish is blackened so that’s how I’ll be making it. Again very easy to make. To add something a little different and make it kid friendly I add pineapple to the sauce. The kids like the little bit of sweetness mixed in and it actually tastes really good. If you notice a theme of simple yet filling dishes going on here you are correct. While it has not been cold out (which I find absolutely crazy since were now in December) I am still in the mood for cold friendly foods that not only easy to make but fill your stomach but keep you full and make for great leftovers. 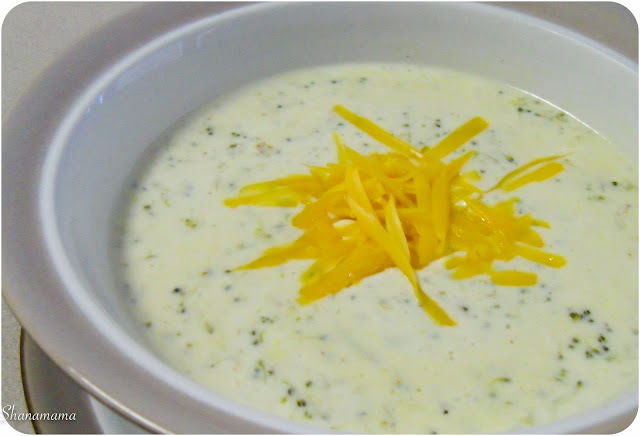 I am not going to claim they are healthy because lets face it, when it comes to Broccoli Cheese soup you aren’t going to find a truly healthy version anywhere. I do use reduced fat sharp cheeses and low fat milks, but still with the copious amounts of dairy you just can’t put a healthy stamp on it. But man oh man is it delicious. It seems that I have only shared one of these recipes I am preparing this week with you all so throughout the week I will share most if not all of them with you. Not sure about the spaghetti though, that is kind of a secret recipe. We shall see though. For now I will leave you with a picture from the last time I made Broccoli Cheese Soup. If you stare at it long enough and decide you must make it now, then by all means do. You can find the recipe here.